LeicesterCity will play their first home game today, and they would want to win it as they lost their first against Hull City. 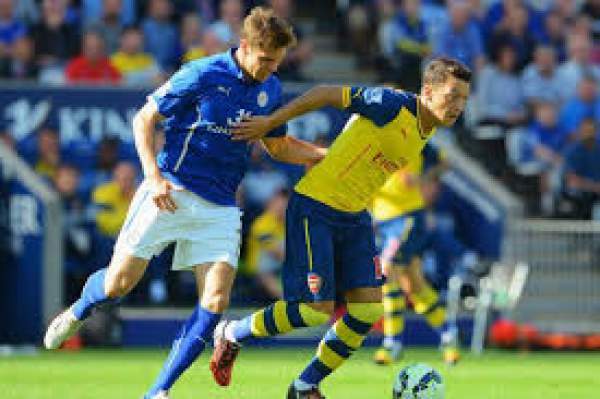 Arsenal also lost their first game and would be itching to get their first win. Leicester is 15th on the table with 0 points, and Arsenal are 14th on the table with 0 points as well. 20th August 2016 at 22:00 (IST). The title defenders did not start their defense in a very positive way as they lost their first game of the season to the newly promoted Hull City by 2-1 away from home. Leicester City fans have expected a lot from them considering they won the league last time, but they should start from one thing and then move on to the next. They need to get their first points on the table and today they have a fantastic chance of doing that as they play Arsenal at home. Their last game was against Hull City which they lost by 2-1. Musa got his debut, and Robert Huth was suspended, so Luis Hernandez played in his place. The first goal came in the extra time of the first half as Adama Diomande scored and gave his side the much-needed lead. Then as the second half started Leicester won a penalty as Huddleston brings down Gray in the D and Riyad Mahrez successfully converts from the spot. But then again in the 57th minute of the game Hull regains its lead as Snodgrass scores and give his side the lead again. Arsenal played their first game of the season against Liverpool at home and lost the game by 3-4. The game was probably the contender for the best game of the season as both teams did not give up till the last. Walcott took the lead in the 31st minute of the game but then Liverpool scored four in the 46th, 49th, 56th and 63rd minute to make it 1-4. Chamberlain and Chamber pulled two back for Arsenal in the 64th and 75th minute but that wasn’t enough, and Ars lost the match. Schmeichel, Morgan, Simpson, Hernandez, Fuchs, King, Drinkwater, Gray, Mahrez, Musa, Vardy. Cech, Monreal, Bellerin, Chambers, Holding, Iwobi, Elneny, Walcott, Ramsey, Coquelin, Sanchez.